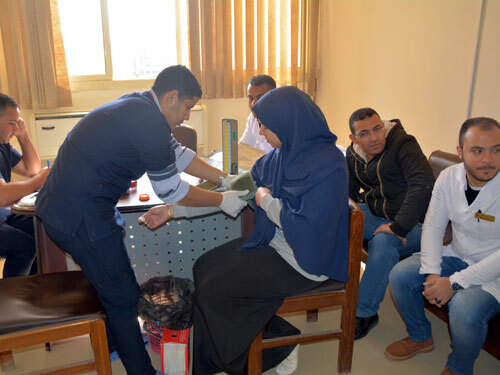 Under the auspices of Prof. Ashraf Abd El-Hafiez Rahil, Acting President of Fayoum University, the Faculty of Computers and Information organized the activities of the Environmental Week in the faculty on Sunday 17/2/2019. 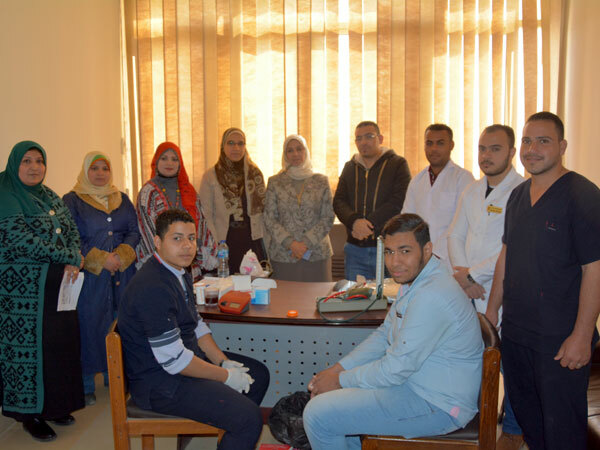 Prof. Nabila Mohammed Hassan, Dean of the Faculty, inaugurated the activities of the week, which started with a blood donation campaign in the presence of Prof. Tarub Abd El- Nabi, Vice Dean for Community Service and Environmental Development. Prof. Tarub El-Nabi pointed out that the environmental week includes a blood donation campaign and a sports day including: football, speed ball, tug of war (at the Stadium of Faculty of Agriculture); table tennis and chess, as well as a number of workshops and English lectures. She added that the end of the environmental week will witness the holding of a seminar on e-marketing and another one on electronic pollution for all students in the faculty.